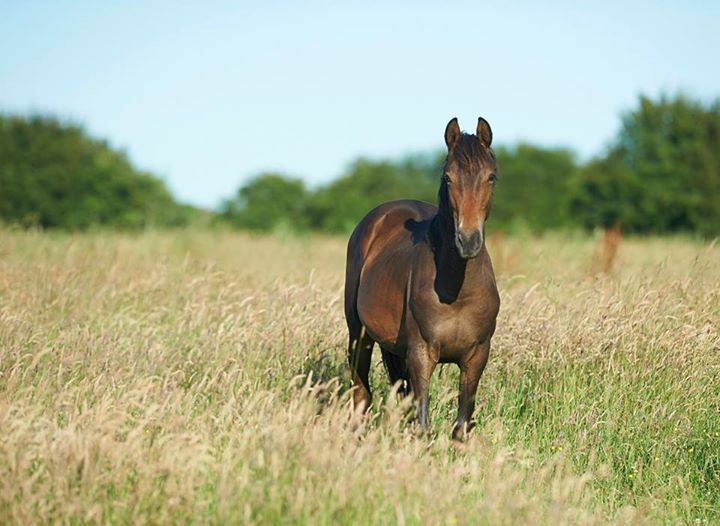 This is Night Life in his yearling Futurity at Arena UK. I believe its very good education for these young Sport horses to learn to go on the lorry and travel and arrive at a destination and behave themselves. All my home bred horses will be doing these evaluations as its a good place to gain feedback that you are breeding good horses for the future. Night Life achieved First Premiums in his yearling and 2 yr old Futurity with Reserve Champion in his yearling grading. Also gaining a Higher First Premium in his 3 yr old grading which included loose jumping and Reserve Champion. In 2012 i took Hi Life to his first Futurity where he gained Champion yearling in the show jumper section. This is one of the first pics i got from Bo's 3rd foal who we'v called Sunny. His sire is Don VHP Z who won several Grand Prix including Royal Windsor for the Brendon Stud and at the end of 2012 was sold to America. I'm very excited about him as he is big and strong and incredibly gorgeous! This is my super star mare My Life. She has competed all over the country and had good placings everywhere finishing her Grade A career in 2009. Her breeding is Sire: Classiker, Grand Sire: Calypso, Great Grand Sire: Cor De Le Bryerre. At 19 years old she has bred 2 foals so far. Night Life is 5 yrs old and has started his show jumping career. His Sire: Caretino Glory. 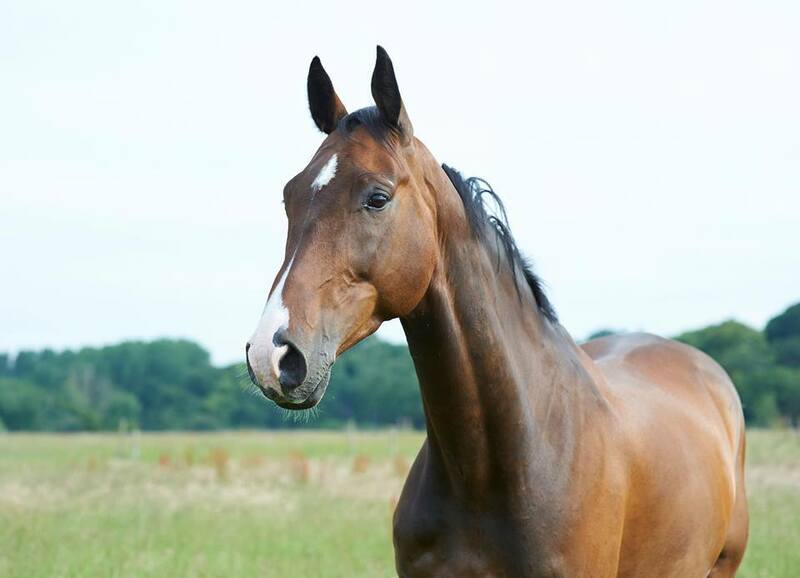 She has a 2yr old called Hi Life(Theo). His Sire: Codec, Grand Sire: Chambertin. This year she has been put to Don VHP Z, the super stallion at Brendon Stud who has already won numerous young horse titles including the Grade C final at HOYS. Recently winning the Grand Prix at Royal Windsor and the Area Trial at Addington Manor. After 2 failed attempts at AI she has finally taken on her 3rd go so i'm very excited about what we'll get next year! Below is a picture of her yearling Hi Life. We very sadly lost Theo(Hi Life) early in 2013 which took a lot of getting over but the arrival of 3 happy, healthy foals later in the year was a big highlight. This is Mellody and Star, 2 broodmares i bought so i could cover them with Nightlife before i had him gelded. Unfortunatly they didn't take in 2011. However in 2012 i have had them covered by Pelgrim K, a great grandson of Darco. I am very pleased that both have scanned in foal to him so am looking forward to some lovely foals this year 2013. Star jumped in Germany before coming to England. Her breeding is Sire: Hollywood, Grand Sire: Jasper. This is Little Legs, Star's foal. He was 6 weeks overdue so i was very worried about him. He came out perfectly formed but very small and had a few problems in his first week but is now trying to catch his bigger brothers up and is beautiful, small but feisty! His sire is Pelgrim K, Sire of one of the best 6 yr olds out jumping at the moment Ferndale Special K.
This is Stewy, Mel's foal. Same sire as Little Legs but a totally different person. Big and strong, born the day before Little Legs so the mares did wait for each other. Am so pleased with all our babies this year. I was really hoping for a filly but our boys are big strong and healthy so i couldn't be happier. 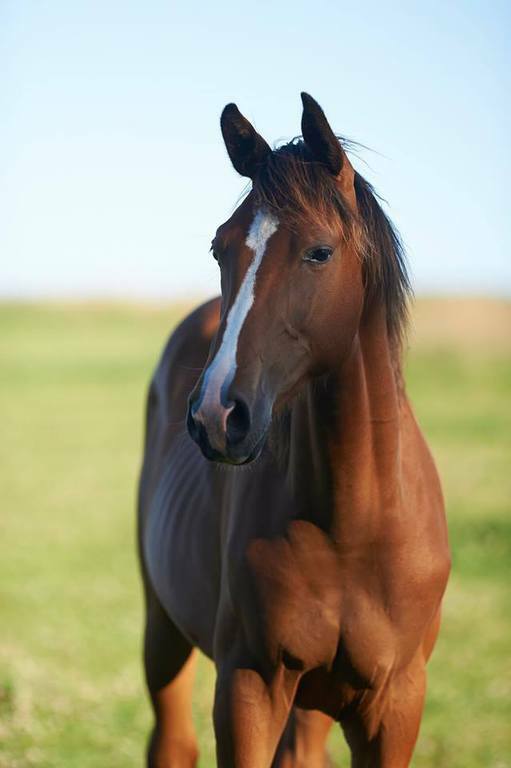 I want to speed forward 4 years to see what sort of horses they turn into! Little Legs (left) Sunny (middle) Stewy (right) yearlings now.:). 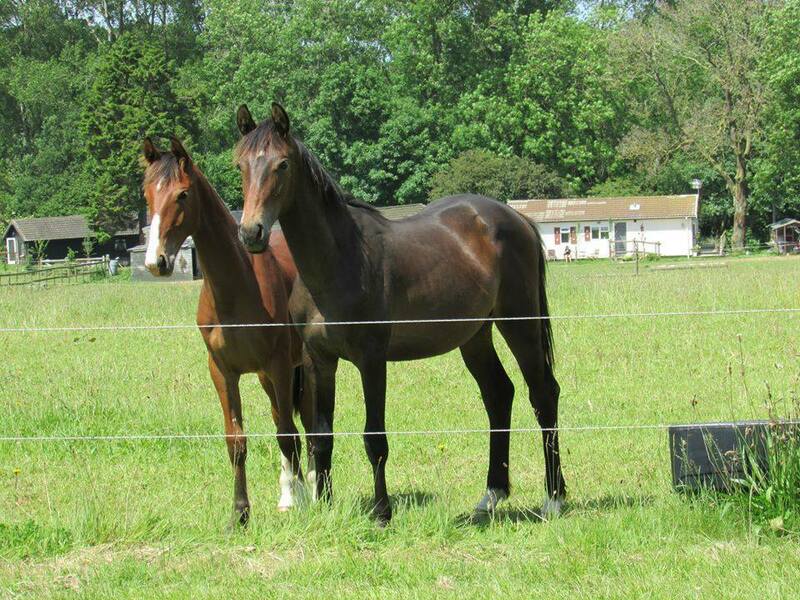 the 3 boys wintering out well, Little Legs(left) Stewy(middle)Sunny(right) 2 yr olds now. Little Legs, Sunny, Stewy, 3 yr olds now and growing well.